Thanks to our partnership with cartube.co.il, we can share with you today brands data for Israel in May. 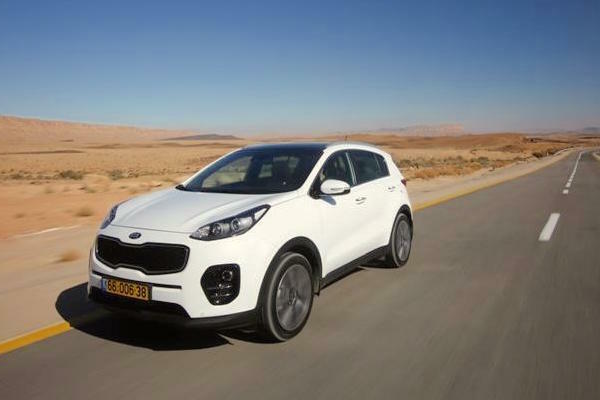 The Israeli new car market is down slightly this month at -2.5% to 24.878 registrations, allowing the year-to-date tally to remain in positive at +2.9% to 143.060 units. Kia is the best-selling manufacturer for the second month running despite sales down 10% year-on-year to 13.4% share. Toyota delivers one of the best performances of the month with deliveries up 29% to 13% share in 2nd place, overtaking Hyundai down a harsh 19% to 12.4%. Hyundai however remains in the year-to-date lead with 14.7% share above Kia (12.6%) and Toyota (11%). Below, Mazda (+17%), Suzuki (+39%) and Honda (+38%) all brilliantly post double-digit gains within the Top 10. Notice also Audi (+26%), Jeep (+85%) and Cadillac (+144%) delivering significant year-on-year improvements. Full May 2017 Top 40 All-brands below.